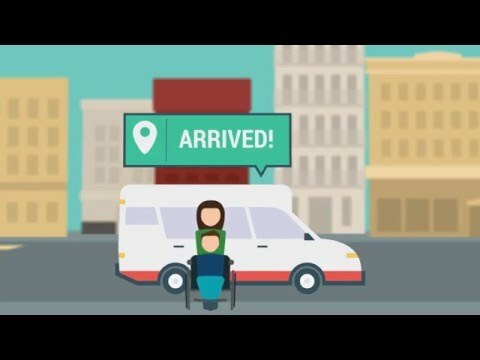 TripSpark NEMT is a web-based non-emergency medical transportation (NEMT) solution designed for NEMT providers, brokers, and healthcare organizations. The platform offers tools for managing trip requests, scheduling, dispatch, drivers, vehicles, clients, billing, claims and reimbursement, notifications, and more. With TripSpark NEMT, users can manage service reservations made online or over the phone, with the ability to provide call takers with detailed patient information. Automated scheduling and dispatch tools allow users to schedule groups of trips with a single click, track schedule changes, cancellations, and no-shows, make instant adjustments to trips, monitor vehicle locations to identify nearby drivers for will-calls, and more. Mobile apps notify drivers of new assignments, provide real-time information on assigned trips, enable trip completion data recording and signature capture, allow drivers to manage their availability, and provide driving routes through Google Maps integration. TripSpark NEMT’s client notification system is designed to reduce no-shows by automatically reminding clients of their upcoming trips minutes or days in advance, via SMS, email, or voice call. Notifications allow clients to confirm or cancel their trip, and manage or edit trip details. The reminder system supports multiple languages and unique pronunciations, and users can customize messages to be sent out individually or in bulk. Reimbursement claims, including Medicaid claims, can be submitted electronically through TripSpark NEMT’s interface, and users can verify clients’ Medicaid eligibility and automatically store client eligibility records, authorization numbers, or reasons for rejection. The benefits we have had since using this product is an increased efficiency in call taking and being able to go through scheduling quicker not only benefits the clients but for the providers as well. First let me start off with the deployment team with Nadia and Amy, they were absolutely phenomenal and professional. They were able to take something completely brand new and train my staff effectively; then once everyone was trained up on it they were able to stay around for another week during the opening phase of it to make sure that if they had any issues come up that they were able to be there to take care of it immediately. Once we got everything up and running I realized we needed a couple of reports created, I was able to email my account manager and they responded really fast with a meeting time and we were able to go over everything that I needed and within a couple of days of approvals we had a custom report. Once we completed our milestones and we were then handed off from the deployment team to customer care, my CC Team who literally set the bar on customer service. they are able to get help to me as quickly as possible and they don't make things complicated but they are able to break down what went wrong and not only how to fix it, but how to prevent it from happening again. Now currently my account manager is someone who will take the ball and run with it as fast as she can so she can make sure that the client gets what they want in the time they need it by and she is a straight shooter and someone who won't stop until the job is done and we are satisfied with what we need. First let me start off with the deployment team with Nadia and Amy, they were absolutely phenomenal and professional. They were able to take something completely brand new and train my staff effectively; then once everyone was trained up on it they were able to stay around for another week during the opening phase of it to make sure that if they had any issues come up that they were able to be there to take care of it immediately. Once we got everything up and running I realized we needed a couple of reports created, I was able to email my account manager and they responded really fast with a meeting time and we were able to go over everything that I needed and within a couple of days of approvals we had a custom report. Once we completed our milestones and we were then handed off from the deployment team to customer care, my CC Team who literally set the bar on customer service. they are able to get help to me as quickly as possible and they don't make things complicated but they are able to break down what went wrong and not only how to fix it, but how to prevent it from happening again. Now currently my account manager is someone who will take the ball and run with it as fast as she can so she can make sure that the client gets what they want in the time they need it by and she is a straight shooter and someone who won't stop until the job is done and we are satisfied with what we need. There are not a lot of things that I would list here except for maybe a couple of suggestions, I know that when it comes to the permissions if it would be possible to add a "wizard" of some type that helps you select which roles would be needed. The same could be possibly done for the context properties or maybe like a user manual that would go over each section and what exactly they do, and the last one is somehow be able to create rides that would be going from one location to the other but they have the same address technically, but as long as they have the same address - Novus will issue an error saying it's not allowed. The customer service has always been exceptional. They are very responsive to my requests and assist without making me feel like a bother. It is very nice. The pros of the software is that it generally keeps everything moving smoothly and the data is organized. Cons is that MT is 'chunky' and, unless you know work-arounds, is not very easy to use. When trying to train, we get a number of questions about 'how come the systems isn't fully integrated so changes show up from a single change point?" Things like that. Contact TripSpark for pricing information and to request a demonstration. The driver mobile app enables real-time data exchange between drivers, brokers, and providers, including vehicle location data for identification of nearby vehicles, trip assignment, driver notifications, instant trip completion updates, availability management, and more. Client notifications aim to reduce no-shows by automatically delivering reminders to clients days or minutes before their trip via SMS, email, or voice calls, allowing clients to cancel or confirm their trips with the push of a button. The online booking portal lets clients request pickups, track approaching vehicle locations, manage their personal information, and delegate management to their family, medical facilities, or funding agencies. Automated scheduling and real-time dispatch tools allow users to manage service resources, trips, and routes, with instant tracking of cancellations, schedule changes, and no-shows, and the ability to schedule groups of trips with a single click. The Medicaid eligibility interface enables electronic verification of client eligibility and automatic storage of eligibility records, reasons for rejections, and authorization numbers, and with the Medicaid claims interface users can electronically submit claims to single or multiple providers using per-mile or flat rates. Below are some frequently asked questions for TripSpark NEMT. Q. What type of pricing plans does TripSpark NEMT offer? Q. Who are the typical users of TripSpark NEMT? Q. What languages does TripSpark NEMT support? Q. Does TripSpark NEMT support mobile devices? Q. Does TripSpark NEMT offer an API? No, TripSpark NEMT does not have an API available. Q. What other apps does TripSpark NEMT integrate with? Q. What level of support does TripSpark NEMT offer?